Korkut’s remit is clear, but whether he has the necessary tools at his disposal to succeed remains to be seen. Incoming Hamburger SV loanee Artjoms Rudnevs has yet to score in the Bundesliga this term, while experienced defender Christian Pander suffered a knee injury at the northern outfit’s training H.Q in Turkey and joins defender Felipe and striker Didier Ya Konan in the treatment room. An apparent inability to win on the road, a dearth of goals and a leak-prone back four are but three obstacles Korkut and his players will have to overcome if they’re to climb any further up the league ladder in 2014. The Reds scored just 23 goals in 17 outings during the first season half, with 14 coming on home soil, whilst shipping 31 at the other end. Only SV Werder Bremen, 1899 Hoffenheim, Hamburg and the bottom three have conceded more. If Rudnevs can rediscover the form that took him to the top of the Hamburg scoring charts in 2012/13, Hannover should not have too many issues up top. Lest we forget, they already have the likes of Mame Diouf and Szabolcs Huszti to shoulder the responsibility in that department. How quickly they adapt to Korkut’s philosophy, however, is another question all together and could prove decisive in the final standings. Hannover haven’t just committed the second highest number of fouls (319) in the Bundesliga so far this season; they have also collected the most cards (47). To compensate for Maximilian Beister’s season-ending injury, Marwijk has brought in Dutch compatriot Ola John and Juventus FC’s Ouasim Bouy on loan until the summer, but injuries to Kerem Demirbay, Johan Djourou, Heiko Westermann, Tolgay Arslan, Lasse Sobiec, Pierre-Michel Lasogga and Rene Adler have left the Dutch tactician with quite the selection quandary - although Diek Dirkmeier is back from a lengthy lay-off of his own. Hamburg have conceded a joint-league-high 38 goals so far this season, topping that unsavoury haul only once before at the same juncture (39 goals, 1987/88). The northerners have also been caught with their iconic red shorts down far too often at the Imtech Arena, where they’ve won just twice and drawn once in , while their four season victories have all come against teams in the bottom half of the table (Eintracht Braunschweig, 1.FC Nürnberg, SC Freiburg and Hannover 96). "14th in the table with 16 points isn’t all that bad a starting position going into the restart," explained HSV sporting director Oliver Kreuz. "I’m not a fan of the term ‘relegation battle’." Given the wave of injuries to have swept through the dressing room of late, he might have to learn to live with it. 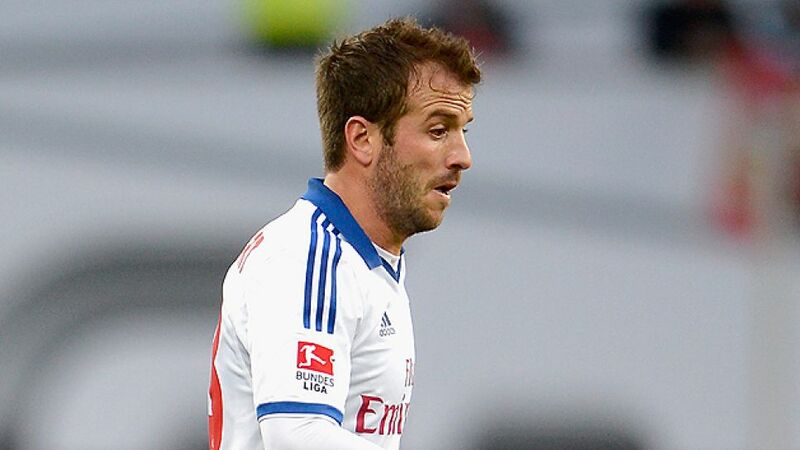 Hamburg have won just one of their last five meetings with upcoming visitors FC Schalke 04. Through to the last 32 of the Europa League and battling to stay afloat back home in the Bundesliga, Veh has duly sought reinforcements in the form of Alexander Madlung and Tobias Weis. Stefano Celozzi is out for the foreseeable, while Takashi Inui has much to prove, having failed to failed to replicate his headline-grabbing form of 2012/13. Like so many of the Bundesliga‘s bottom feeders, Frankfurt have simply not picked up enough wins. on their travels disguise an ignominious run at the Commerzbank Arena, where Eagles fans are still to sample that winning feeling halfway into a season for the first time in the club’s Bundesliga history. The euphoria of their European adventure aside, Bundesliga survival has to be the priority. Were Frankfurt to bow out in the next round, it may well be a blessing in disguise. In the meantime, a head start on the teams around them would doubtless stand them in good stead later in the campaign. Only Eintracht Braunschweig and 1. FC Nürnberg have a worse shots-to-goals ratio than Frankfurt, who have needed an average of 12 efforts on goal before finding the back of the net.